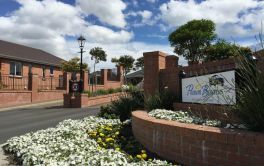 # 18 of 409 Retirement Villages in New Zealand. 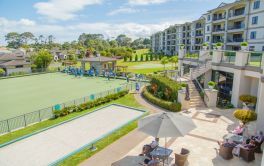 MAYFAIR VILLAGE | Arena Living is located in Northcross, Auckland and offers dwellings with of independent retirement living. × Have you visited this facility? 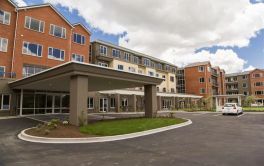 Help others who are looking for a place by posting a review on MAYFAIR VILLAGE | Arena Living or review a different facility now. Being around people all the time. Maintenance taken care of. Plenty of activities to do. Nice roomy Villa. Good neighbours. Helpful staff if needed. Position Sunny and Accessible. On Flat Street. Response for Any Maintenance is Great. Response for Any Maintenance is Great. Nurse on duty 24/7. As the village is mature the buildings are undergoing significant maintenance, but this necessary work has been taken on by Arena Living without hesitation despite the high costs involved. Ultimately the outcome will be first class buildings in a spacious and mature environment. Continue with the very demanding maintenance programme and keep the residents fully informed on the progress. Good accommodation. Friendly social environment. Good location. No capital appreciation. Increasing fees. No quantum of care. Security and safety. Sunny location (warm). Friends and neighbors. Recent arrival - settling in. Nice 3 bedroom Villa on end of road - very private. Excellent facilities and approachable staff. A degree of independence. Own garden. Ability to own a pet for the balance of its life. Own parking. Not as many youngsters to interact with. A degree of isolation. Limited access late at night. Can't own a new pet. Resale terms.